Every office should have a cellular signal booster. This is a one-time expense that brings better cell service to all of your employees, to all of your customers, and of course to you, the company’s owner. It’s an easy path to customer satisfaction and a great way to show everyone that you’re a modern and progressive company. In an ideal situation you would get a cell booster powerful enough to cover every inch of your workspace. Often times that’s not possible. Even when it is, there are always compromises. There are always areas that will get better service and areas that will get worse service. It takes planning to make sure that the really critical areas are covered. So what areas in your business really need coverage? Here are some suggestions from our tech team for you to consider. This one’s a no-brainer. You’re paying for the booster and you deserve to have great cell service. You’re probably taking this step because you realize just how bad the cell service is in the building. Waiting for the cell companies to build more towers won’t help. It’s probably the construction of your building that’s causing the problem. Even if you have a “corner office” you probably aren’t immune from cell reception problems. Low-E glass does a better job of repelling cell signals than almost anything else. Plus, if you’re up on a higher floor you may have worse cell service than the folks at ground level. Cell towers shoot their signals down to ground level because… that’s where the people are. Make sure there is an antenna in the ceiling of your office or near to your office. That will give you the great cell service you deserve. As for the company conference room, this is another easy case. How many times has someone in the conference room made a call to “loop someone in?” Think about it. How many times have you gotten a call from someone else’s conference room? How many times has the meeting stopped cold so someone could get the right connection or call you back multiple times because of poor reception? Don’t let that happen to you. Don’t let your customers think about you the way you think about other people with conference room reception problems. Yes, this one is a surprise to most people. Most people don’t think to put a cell booster antenna in the bathrooms. Yet that’s where they’re needed. People do use their phones in there; I know it’s disgusting but it happens. Bathrooms are often in the center of the building and that means several levels of metal and wires between them and the outside. It’s where cell service is the worst. Do everyone a favor. Even thought it seems kind of icky, make sure there’s great cell reception in the company’s washrooms. WilsonPRO cell boosters are the best way to get great cell service in your office. Each system is designed especially for your situation by our experts. We’ll start with your measurements of cell signal strength and build the perfect solution. Installation is easy and our team is right there to help. 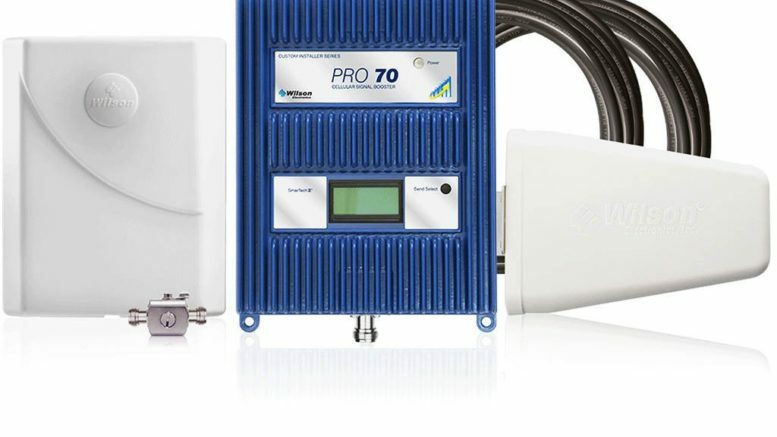 If you’re interested in getting more information, give Signal Connect, the commercial arm of Solid Signal, a call at 866.726.4182 for a no-cost consultation! Military Personnel, Get Your AT&T Mobility Discounts! What is the best brand of RG6 connector?